On February 11, 2019, our Club Pet Boarding facility received some unexpected guests. When staff arrived that morning, they discovered a crate sitting outside the locked front doors with two scared cats inside. There was a heartbreaking letter attached. The author explained that he was a federal worker who had been laid off during the government shutdown. He wrote that he couldn’t pay his bills and was being evicted. 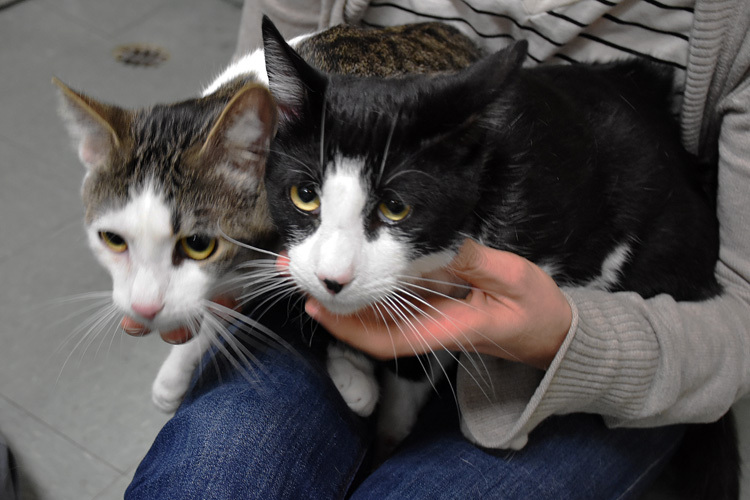 Our staff brought the cats (13-month-old Oliver and Dodger) inside. Naturally, they were terrified. But by the way they interacted with people, it was clear that they had been beloved family pets. It was also clear that they were best friends. 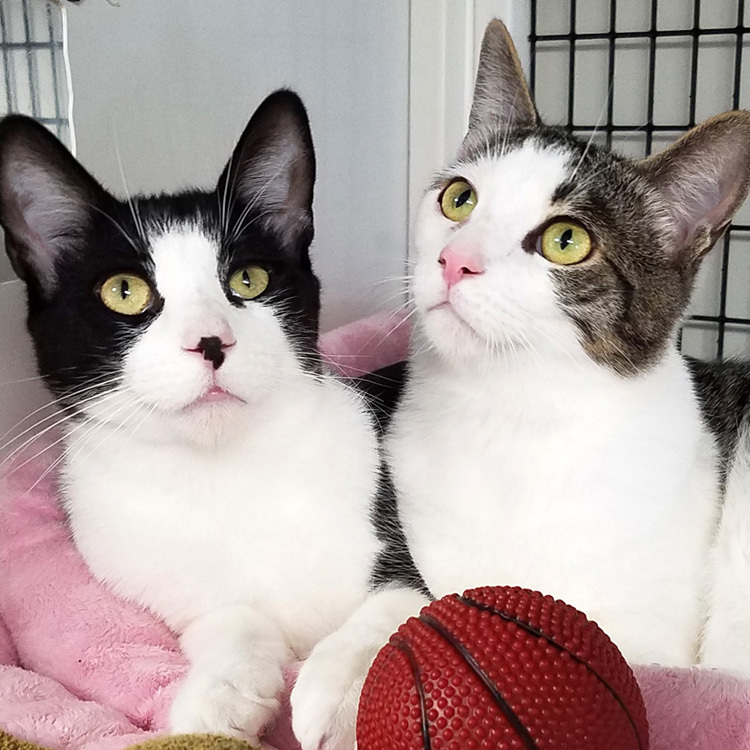 Oliver and Dodger had been through so much together, so we were determined to find these bonded brothers a forever home that would welcome them both. After receiving lots of TLC and Oliver healing from a yucky eye infection, the boys started their search for a family. 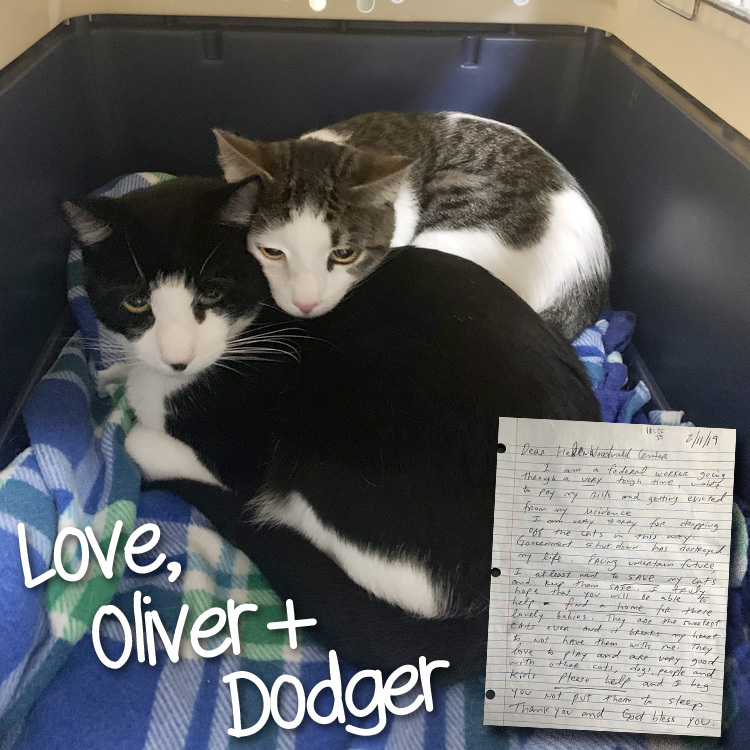 The note left on their crate that day was a desperate cry for help, but it was also a love letter to Oliver and Dodger. Their previous owner believed he couldn’t provide for his pets, so he did what he thought would give them the best chance at a happy life. 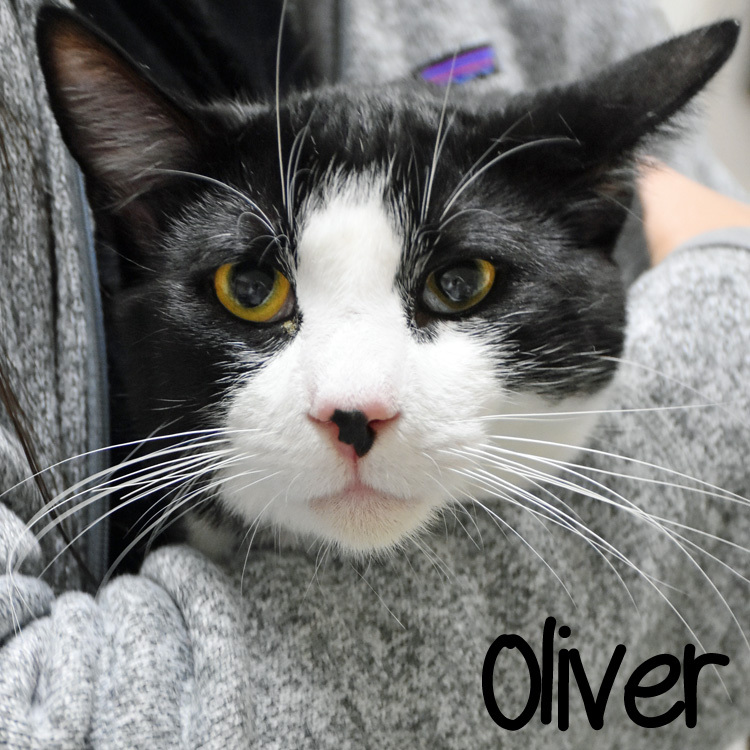 PS- Oliver and Dodger are available for adoption now! 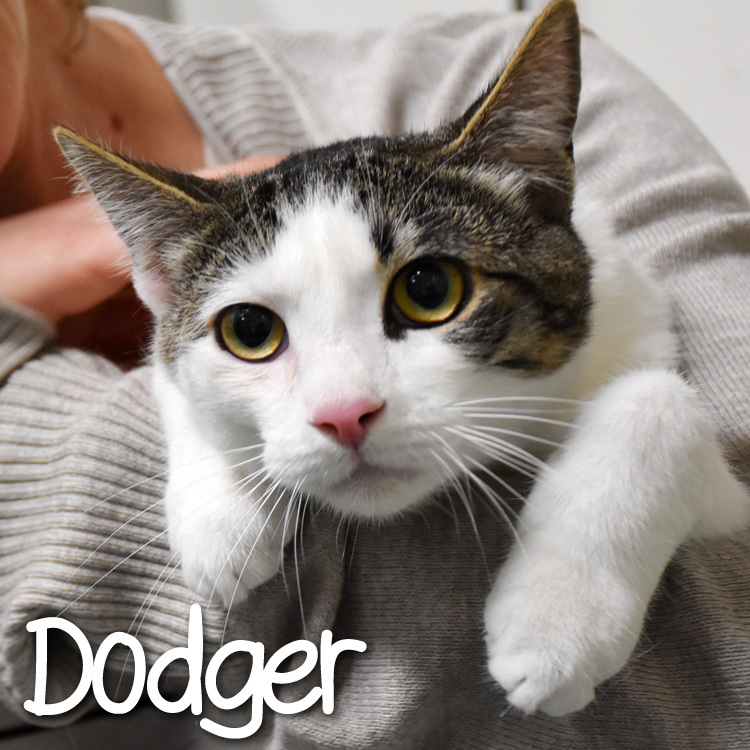 Check them out on our Adoptable Cats page. 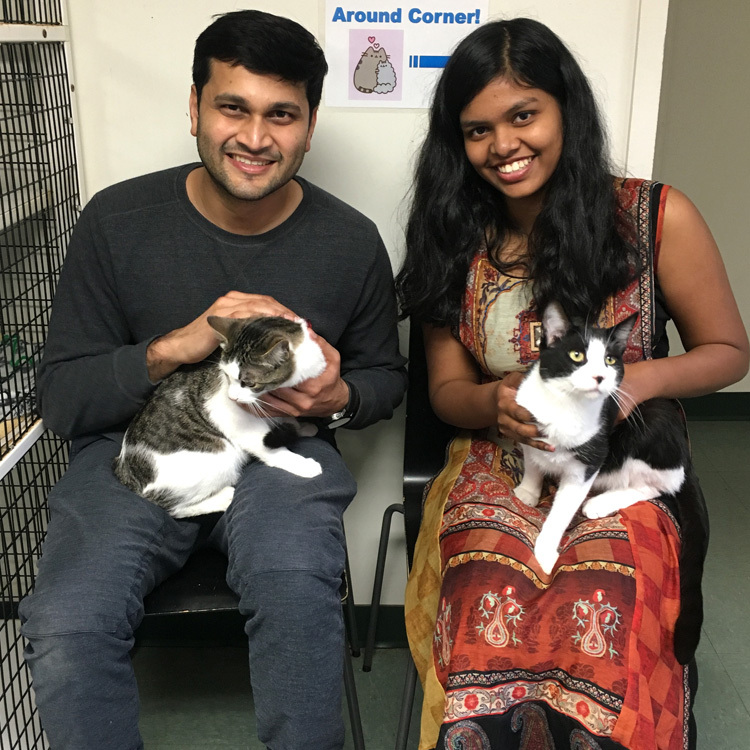 A few days after becoming available, Oliver and Dodger charmed a young couple who decided to adopt them on the spot! Their new parents are elated to have the company and companionship of these sweet boys. Good luck, Oliver and Dodger!